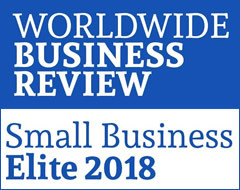 Kingsmaid Domestic Cleaning has been at the forefront of Home Cleaning since 2003..
Due to the excellent service we provide Kingsmaid has grown considerably since the early days, however, we are proud to say we remain a family run business. Our ethos of providing an excellent service with cleaners who take pride in their work is just as strong today as it was on day one. 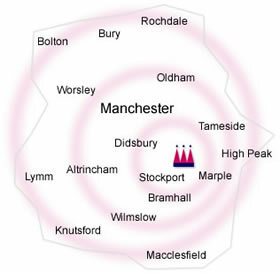 We have cleaners operating throughout all of Greater Manchester, Manchester and Cheshire including Stockport, Manchester, Tameside, Lymm, Didsbury, Wilmslow, Knutsford, Bury (see our Manchester map). Our cleaning staff work Monday to Saturday. 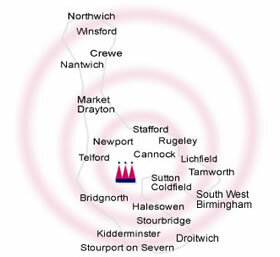 We also have a separate branch based in Halesowen, which covers South Cheshire, Staffordshire, Shropshire, Worcestershire and South West Birmingham (see our Birmingham map). For details of our service based in Halesowen please click here. Kingsmaid continually strives to provide the high standards that the business was founded on. Our service is totally flexible, designed to meet the customer's requirements and exceed their expectations. We are happy to undertake most household chores, including ironing. We also offer specialised carpet and oven cleaning. Kingsmaid cleaners have a real passion for cleaning and take great pride in their work. They are all fully trained, uniformed and insured. We believe in treating our staff well, offering full ongoing training and support and paying them a fair wage. Happy Staff who enjoy their job lead to happy customers! We offer unrivalled office support for both our Customers and Staff in order to ensure that we plan and deliver an excellent bespoke service. Each customer is allocated a dedicated service manager to ensure the service we provide is personal and fully meets your requirements. Our friendly office team are available Monday to Friday 8.30 a.m. to 4.45 p.m. to deal with any queries or requests you may have. Kingsmaid Domestic Cleaning offers a choice of cleaning services for homes and offices, (Gold Crown or Silver Service, using our products or yours, with either a team of 2 or an individual cleaner). We provide regular cleans, one-off cleans & end of tenancy cleans. You can book our service for any frequency: monthly, weekly, fortnightly, several times a week - whatever suits you! We also offer specialised carpet and oven cleaning services. As standard, our home cleaning services all come with the Kingsmaid SATISFACTION GUARANTEE (see our Terms & Conditions). We only use high quality, environmentally friendly professional products and equipment. Kingsmaid products are not tested on animals. The majority of our bottles are reusable (after being sanitised) and all are recyclable. We use colour coded equipment to avoid cross contamination and all our staff are trained on sanitising any non single use items of equipment. Many people tell us they see our little cars with their distinctive pink crown logo buzzing around from job to job. We take our fleet responsibilities very seriously and all Kingsmaid vehicles are low carbon emission. Before our cleaners are allowed to drive on our behalf they have to pass our Driving Assessment which not only covers safe and courteous driving but also driving economically to lessen our carbon footprint. We have trackers fitted to all company vehicles, this (in addition to allowing us to track our teams and advise of accurate arrival times, etc.) enables us to ensure our staff are not only driving safely but also taking the most efficient route, again minimising our carbon footprint. We have full office support Monday to Friday 8.30 a.m. to 4.45 p.m. Our friendly office team will be happy to give you more information and answer any questions you may have. We can give you a quote over the phone and if you wish to book any of our services we can book you in straight away..
You can contact Kingsmaid now on 0161 449 5843. A totally flexible & personalised Home Cleaning Service. You can book any frequency or One Offs. All our bookings are by the cleaning hour, so you know exactly what you are paying for! Kingsmaid cars have trackers so we can give accurate arrival times on the day. Secure, insured Key Holder Service & teams arrive in a liveried Kingsmaid car, for peace of mind. Fully trained uniformed staff, trained, fully insured and vetted. Consistency with the same Cleaning Team & cover for absence. Full Office Support, planning and 'Satisfaction Guarantee'. We use our own high quality professional products, ECO friendly and not tested on animals. We use our own high quality professional, safe, tested equipment. Health and Safety & Risk Assessments covered. From £14.00 per cleaning hour. Bookings can be weekly or fortnightly. Clean is carried out by a single dedicated operative, who is vetted, DBS checked and has passed our induction and training programme. Key Holder Service and Absence Cover Service. Office support and 'Satisfaction Guarantee'. We use your products and equipment. No need to employ your own cleaner. Health & safety & risk assessment trained staff. Very flexible from one visit per month to everyday, upwards of 1 hour per visit. We provide all equipment and materials. You control the areas to be cleaned, such as kitchen and toilets, etc. Ideally suited to the Small Office and Communal Area Cleaning. A one-off cleaning service 'tailor maid' to meet the requirements of both landlords and tenants at the end of a tenancy arrangement. We assess your property and your requirements and provide you with the right level of cleaning service. 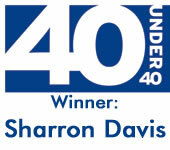 From a quick freshen up to a deep clean with certification and photographs for your landlord. A flexible one off cleaning service. Insured and with our Satisfaction Guarantee. A one off cleaning service. Whether you are moving in or moving out of a property, Kingsmaid's Moving-In Moving-Out Cleaning Service has the flexibility to meet your needs. Moving out clean: leave your old home as you'd like to find your new one, with a final clean and polish to welcome the new owners. Moving in clean: The Kingsmaid team will get your new home sparkling clean before you even walk through the door. Kingsmaid can ensure your new home is clean, fresh and ready to move in to. Trained, Insured and with our Satisfaction Guarantee. A totally flexible & personalised Carpet Cleaning Service. We can operate in all domestic and commercial situations. Domestic properties from individual rooms to the largest of homes. We are experienced and insured and the Kingsmaid Carpet Cleaning Service comes with our Guarantee. We use a no-compromise performance spray extraction cleaner. We use power blowers when necessary and have expert stain removal systems. We also clean sofas and soft furnishings. We use our own ECO friendly professional products and safe, tested equipment. A totally flexible & personalised Oven Cleaning Service. We are experienced and insured and the Kingsmaid Oven Cleaning Service comes with our Guarantee. Please call us for an Instant Quote for your Domestic or Commercial Cleaning job. View Kingsmaid Domestic Cleaning on Yell.com and see the hundreds of reviews provided by grateful customers. 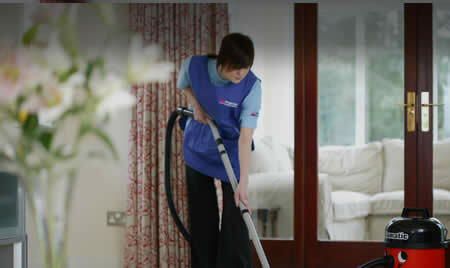 Our Halesowen based franchise provides excellent domestic cleaning services to the residents of Cheshire, Staffordshire, Shropshire, Worcestershire and South West Birmingham; areas such as Stafford, Cannock, Telford, Halesowen, Kidderminster and Lichfield. With our locally based teams we also clean in other areas such as Northwich, Winsford, Crewe, Nantwich, Market Drayton, Newport, Rugeley, Tamworth, Sutton Coldfield, Bridgnorth, Stourbridge, Droitwich and Stourport on Severn. Kingsmaid have recently appeared on a number of TV & Radio News broadcasts, to discuss recent EU Regulation relating to Vacuum Cleaner power & noise, and to discuss environmentally friendly cleaning products as used by Kingsmaid..